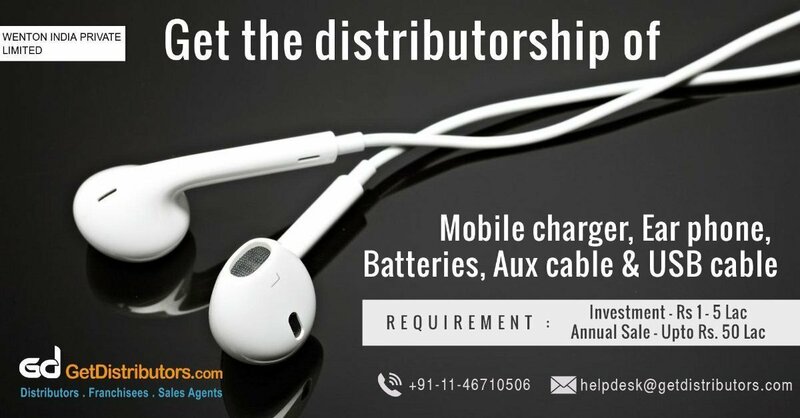 Wenton India Private Limited is a fast growing company established in the year 2012, in New Delhi, India, which has created a name for itself in a very small time by manufacturing excellent quality Mobile Charger, Mobile Earphone, Batteries, Aux cable, USB cable and allied accessories. Our mobile accessories are highly sought after amongst technology enthusiasts for their compatibility with all mobile operating systems, optimum longevity, portable design, light weight, easy usage etc. We require state level distributors across various states of India to aid us in our expansion plans. The aforementioned product list is not exhaustive.